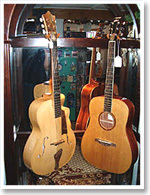 Mockingbird Music is your leading resource for quality musical instruments and accessories, from guitars, amps and pedals to keyboards, banjos, mandolins and more. 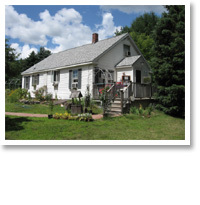 Come browse our on-line catalog to find what you desire. 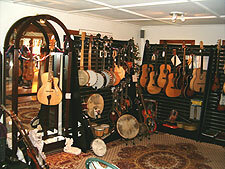 Mockingbird Music Company is a full-service music store, luthiery and music school located in rural central Massachusetts owned and operated by luthiers Glenn and Barbara Nelson. We have a full-service music store on premisis, with an extensive inventory of instruments and accessories to suit every whim and fancy - those you'd expect and many you would not. Mockingbird Music offers expert instruction for guitar, bass mandolin, piano, flute, violin, drums, banjo and much, much more. From time to time we host workshops and performances by many of the leading performers in the world of music today. We All Love Great Sound! That's why Mockingbird Music Company (MMC) in Berlin MA, offers New England's finest hand-crafted custom stringed instruments! We create Custom Archtop and Flattop Guitars, Mandolins, Mando-cellos, Banjos, and other unique instruments to tonal and microtonal perfection.